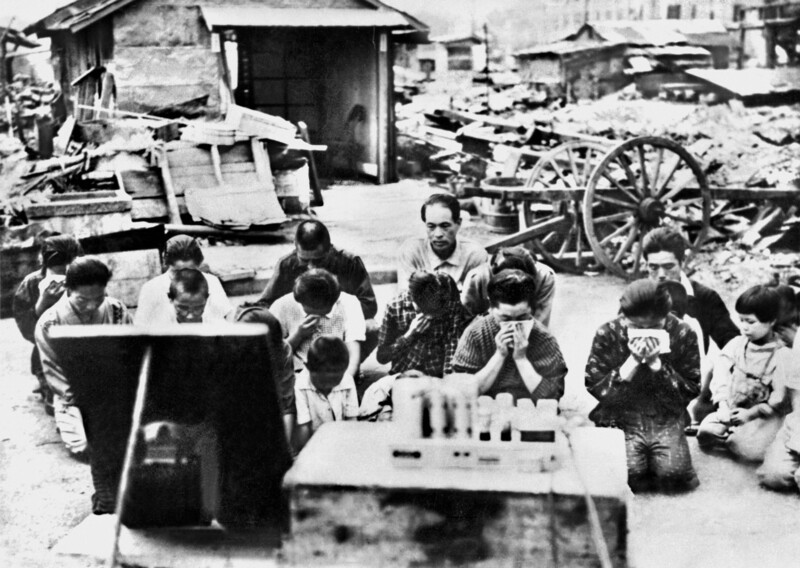 I was surprised to hear most of my students say they had never heard all of Emperor Hirohito’s speech that ended the war, only about one minute of it. Even more surprising was that many of them have never read the transcript. The language and the Kanji characters in the one the Japanese media published are so archaic the document is unintelligible even to well educated Japanese. 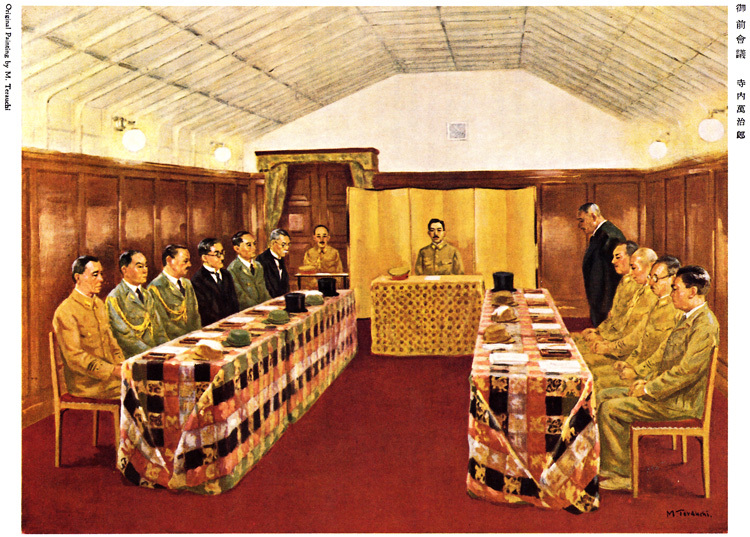 I found the English version that was translated in 1945 by University of Washington alum Tadaichi Hirakawa. Mr. Hirakawa’s effort to remain true to the spirit of the Japanese original resulted in a rather clumsy translation that is also hard for most Japanese to comprehend. 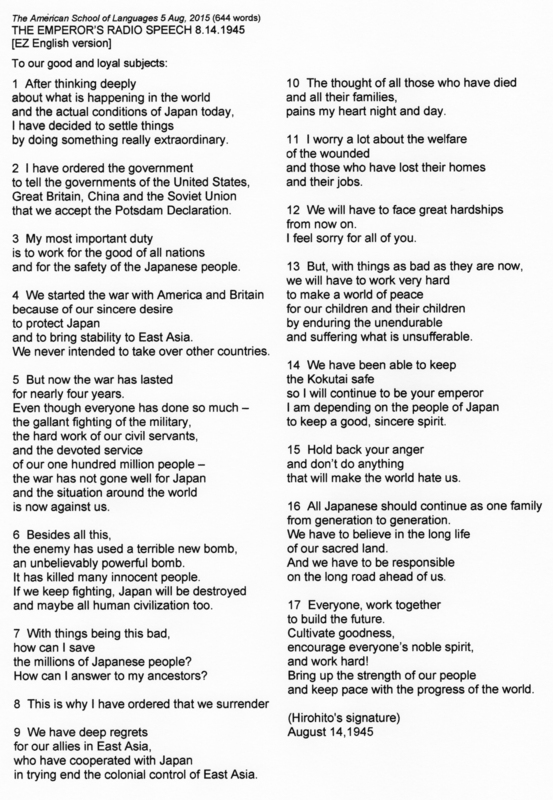 I took the liberty of paraphrasing Mr. Hirakawa’s translation so that my students would finally be able to digest this important prelude to Japan’s pacifist era. The exercise was an eye-opener for me and I hope it will be for my non-Japanese readers, too. 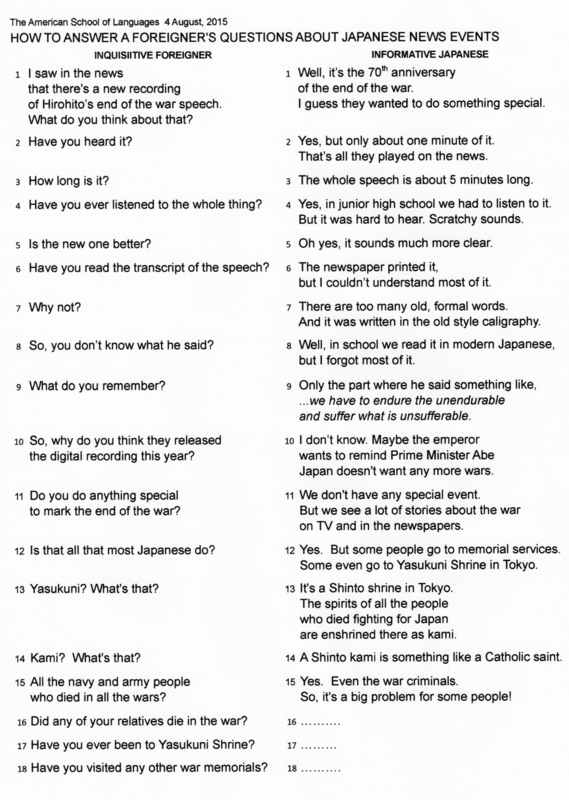 This is the dialog I wrote to help my students answer a foreigner who asks about the recent headline news from Japan. I wrote this based on answers I got from some of my more advanced students. Only item No. 10 is my own opinion.